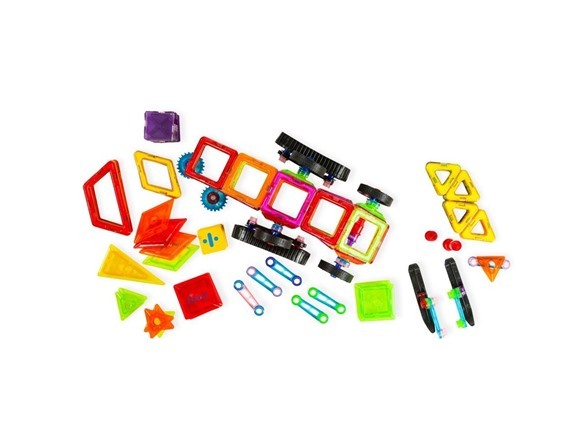 Choose Dimple Magneticals and let your child build towering castles, intricate homes, or something entirely original; they’ll love being creative! 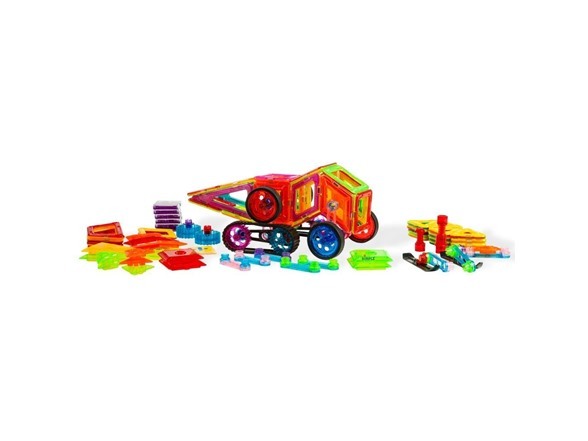 An innovative way to express creativity that traditional blocks simply can’t offer, these magnetic building block tiles let kids create 3-D structures and buildings that traditional square pieces could never allow! 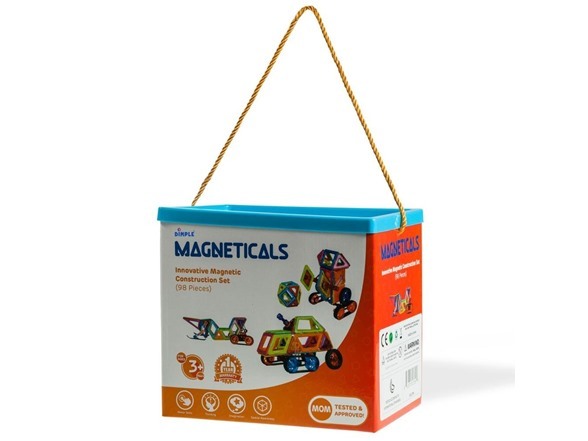 Complete safe and non-toxic, our Magneticals tiles use rare-Earth magnets to stick together easily and come in a wide range of shapes to let your child turn their imaginations into tangible designs. 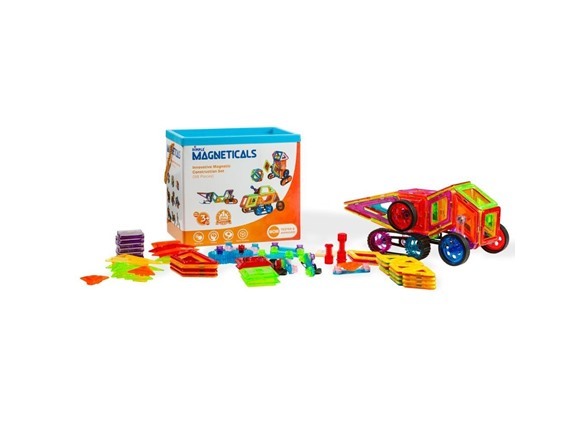 Great for expanding creativity, social confidence, and motor skills, get our 98-piece magnetic tile set today and bring on the fun!